Building items from tin foil at dinner. Freebirds wraps their burritos in foil and all around the restaurant are little sculptures made from the foil. Here is my daughter attempting something, she said she was making a sleeping bag. 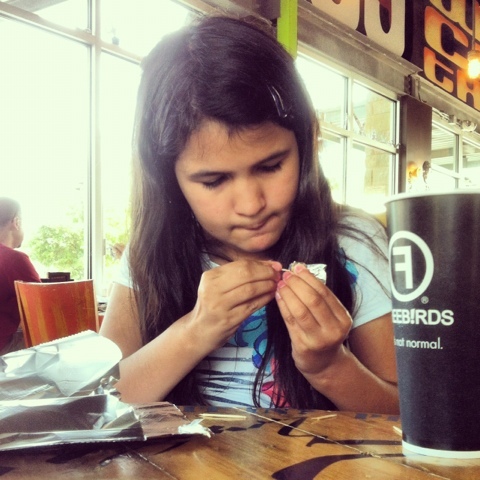 This entry was posted in Instagram, Project 366 and tagged concentration, freebirds, Instagram, project 366, tin foil. Bookmark the permalink.